I love the holidays. Christmas Carols, decorating, candy canes, get togethers and parties, and of course, Santa Claus! 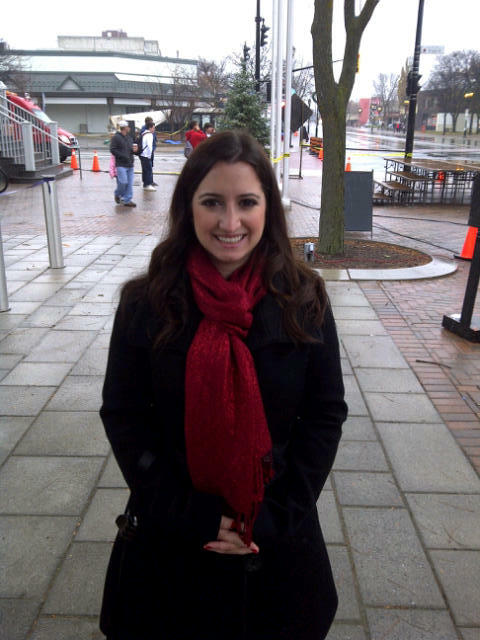 Sunday, for the 3rd year in a row, I co-hosted the Richmond Hill Santa Claus Parade. It's really a cute parade - it runs along Yonge Street in Richmond Hill, and while it doesn't get the same audience as say, Toronto's parade, it has a decent showing. This was also a special parade as it marked the 100th parade that our superstar director and colleague/friend of mine, Jim Anderson, has directed. Jim has been with Rogers for 25 years and he when it comes to Santa, he knows his stuff!! Keeping in mind it's only mid-November, it definitely didn't look like Christmas. It was rainy and wet, without a snowflake in site (safe for the fake ones coming out of Santa's sleigh). We brought Rex along and he loved playing in the rain and barking at the other canines in the parade. 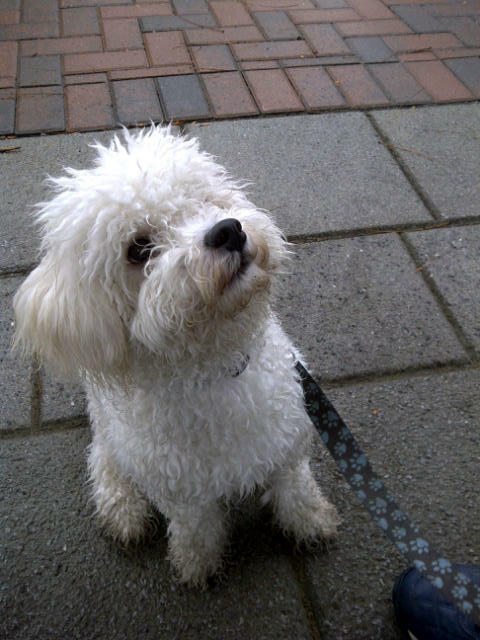 Rex, sitting for a treat - all wet! Each year, the Town of Richmond Hill participates in the organization of the parade. This year, my co-host was Graeme Maxwell from the beautiful Richmond Hill Centre for the Performing Arts. If you haven't been to York Region's newest theatre, you should check it out. The highlight of the parade was obviously the big man in red, but I personally love hearing from all the kiddies on what they want for Christmas. The consensus: Nintendo DS. The average age of these kids: 5. WOW. 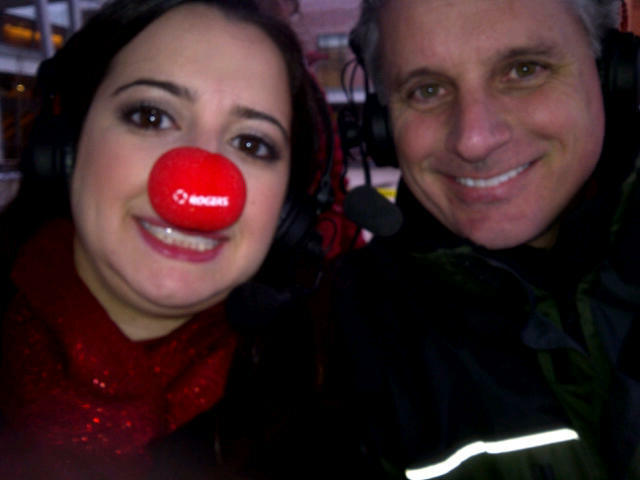 The Richmond Hill Santa Claus Parade will be broadcast through the coming weeks on Rogers TV, York Region. Visit http://www.rogerstv.com/ for listings.